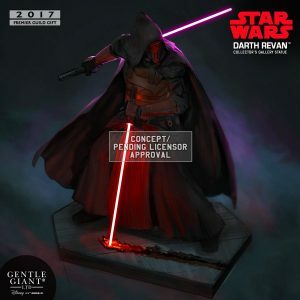 Gentle Giant has revealed their next Star Wars Premier Guild Member Gift for 2017 – the Darth Revan Collector’s Gallery Statue. Each limited edition, hand-painted piece is cast in high quality polyresin with crisp details in his mask, armor and dual lightsabers. This statue also comes individually numbered with a matching certificate of authenticity. This Star Wars: Darth Revan Collectors Gallery statue is part of our new series of 1:8 scaled statues, celebrating the last 40 years of the Star Wars universe. Visit Gentle Giant’s blog for the full details. 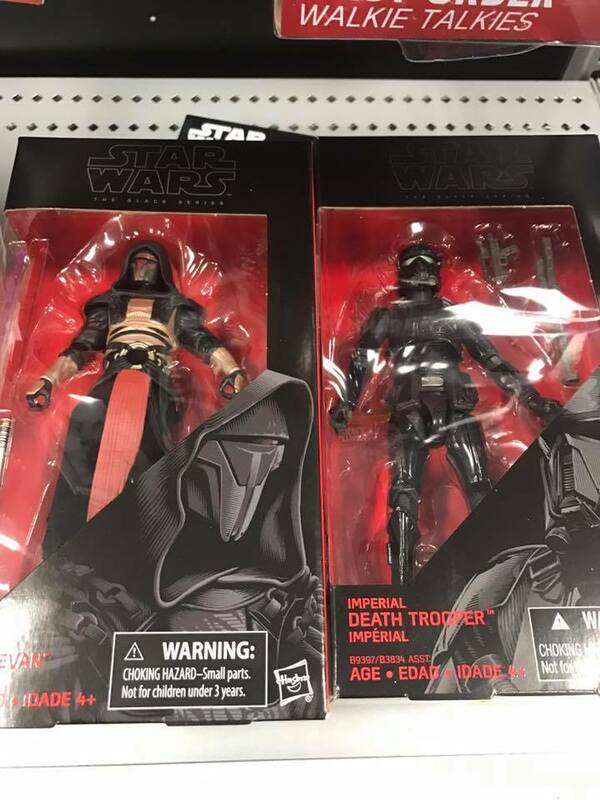 A tweet from follower @SuperAwesomeGeekShow has reported that the illusive Revan wave of 6″ Black Series figures have been found in the Seattle area at Target. 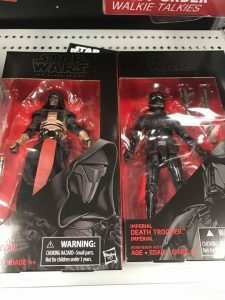 6″ Revan Found at Best Buy? If you need another store to add into your rotation in your hunt for Darth Revan, check out Best Buy. Facebook member Jacob B. reports finding his at a store in Atlanta. Click on through to check out new, watermark free images of Hasbro’s latest figures coming to the 6″ Black Series. For your perusal, here are high-res images of Hasbro’s new 6″ Black Series coming later this year. 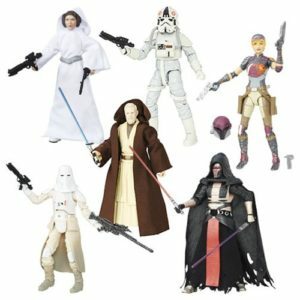 Click on through to check out Darth Revan, Sabine, Princess Leia Organa and the Imperial Snowtrooper. 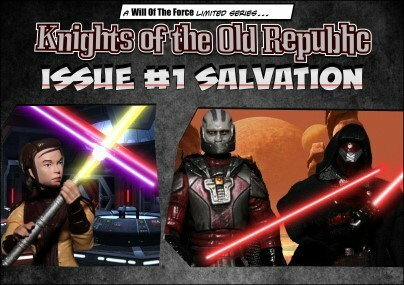 Yakface forum member CloneCrazy has kicked off a new photonovel series set in the times of the Old Republic. The visuals are breathtaking and the story is great. Kick back, take a few minutes, and enjoy this first installment in his new series… and be so kind to leave him a comment too for his hard work and for sharing it with us. For our latest Customizer Spotlight, we welcome a new member to our forums – Clonetroopr! As you can see by the teaser image above, he’s not new to customizing, as he’s got some great talent and has created a ton of KOTOR custom figures. Kick back and enjoy his efforts after the jump! Yakface forum members continue to raise the bar with their customs figures, which means another spotlight of their amazing work is overdue! First up, Evilivo shares his take on a Wookiee Chieftan, which gives Hasbro a run for its money with their new figure of Merumeru. DarthVirunga returns with a huge update, including the Sith Lord, Darth Ruin. Check it all out here. Next up, customizing legend Glassman has begun customizing Hasbro’s new 6″ scale line, and shares a Stormtrooper Han Solo and other 6″ updates too! Last but not least, forum member DeltaSev shares a group of his latest customs, including Mira from KOTORII. While collectors are anxiously awaiting to receive their pre-ordered playset walls in the coming weeks, Galactic Merchants teases us with their first 3.75″ scale figure. Check out a full sized pic of this latest masterpiece in the forums, and be sure to follow their Facebook page here!